You are currently browsing the cryptofreek blog archives for May, 2010. I’m not sure exactly how it’s possible to be home sick for a place that I’ve never been, but that’s the situation I find myself in. For the past year I’ve nearly irresistible urge to move to New Zealand, and it really strange that sometimes I want to be there so bad that it physically hurts. If I wasn’t tied here for numerous reasons, I’d probably already be there. I really don’t know what the deal is … maybe it’s the fact that I moved around a lot as a kid and I’m getting tired of the place I’ve been for the last 13 years … maybe it’s the climate and amazing landscapes … maybe the nerd in me just really wants to live in Middle Earth … I don’t know. My wife and I have discussed it on a semi-serious basis, and she’s not totally opposed to the idea. Although, I really think it’s just because she sees how badly I’d like to be there, and because she’s amazing and would follow me anywhere, she plays along. We’ve looked into job opportunities and both our fields are on the lists for immediate and long term skilled immigrants. We’ve looked at houses, schools, churches, jobs, hospitals, etc. 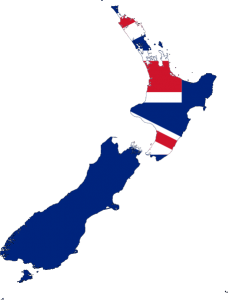 There is some pretty intriguing research in Type-1 diabetes coming out of New Zealand and Australia; some trials that are only available for residents. That’s really exciting for us, as I’m treating a low blood sugar in my eight year old son as I type this. I really kinda doubt that it’s ever gonna happen … but a boy can dream … can’t he?